Bill's Lift Service Rental department offers Late Model, Dependable Forklifts for Rent. Scissor Lift Rentals available. 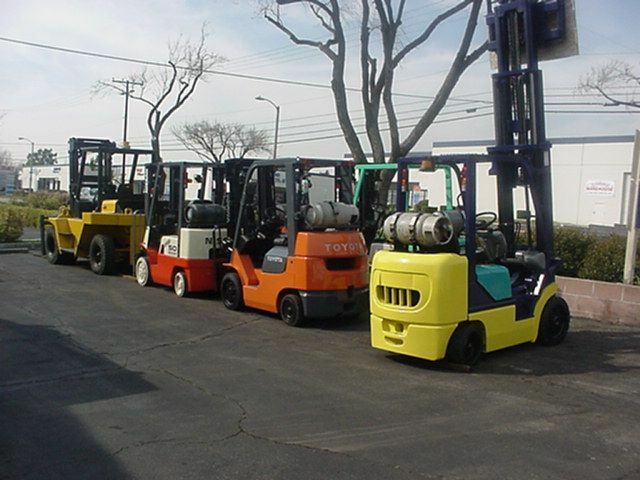 Contact our Southern California Forklift Rental department for special rates being offered. Lease Options available. Full Lease Programs to fit your needs. In Business 23 years celebration. Bill's Lift offers discounts to our loyal customers along with our new clients. Forklift Rental Rates have been discounted. Give us a call and well provide you with the special pricing. Forklift rentals 23 years of excellence "discount rates." Call for our special Internet Rates and Discounts on Forklift Rentals !! Fast delivery, Southern California Forklift Rentals along with customized Forklift Lease program. Bill's Lift Service is dedicated to serving you with your Forklift Rental needs. Southern California Forklift Rentals, Pallet jack rentals, Attachments, Industrial Batteries, Battery chargers. Cushion tires, Quality equipment. Several available. Call for Daily, weekly and monthly pricing. If you are looking to rent a Forklift in the Inland Empire, we offer the best prices around. Located in Upland, CA, we provide Forklifts, Scissor Lifts and Pallet Jacks to the surrounding cities of Rancho Cucamonga, Ontario, Chino, Fontana, Pomona, San Bernardino and the rest of the Inland Empire. Feel free to contact us to learn more about our prices and Forklift availability.